“It has been a rough year” is one phrase we can all agree on as Katie Rogers writes for The New York Times. In a world of constant connectivity where we are bombarded with politics, trauma, and often times harassment in multiple forms whether in person or online it’s hard to remain focused on getting through the day in one piece. It is difficult not to let the outside world and negativity push back our progress as individuals and communities. But we must. Positivity may not change the world or alter the devastating circumstances we face each day, but it can help us in developing and instilling a stronger sense of mental health to fight back. Listed below are a collection of gems – apps, meditations, words of wisdom, and more to guide you through days or weeks filled with whatever pain and battles you may face. My favorite app for defusing stress and anxiety is this handy meditation tool made easily available both by computer and smartphone. Stop, Breathe & Think offers numerous meditations varying in goals, themes, and time – even helping you to decipher your current feels. Plus, unlike most apps, you have over 15 free meditations to choose from for as little as 99 cents! Music is key in generating how we want to feel – especially when we start our day or prepare for a stressful event. Whether finding your ideal playlist on platforms like Spotify and Pandora or creating your own playlist like me, a well-crafted playlist can promote the confident, positive energy you need to lift off your week. Many studies have found time after time that upbeat, happy music has a positive impact on our mood and well being. Tackling a heavy reading list can be overwhelming, however, a short, uplifting book can make a huge difference in how we view and participate in the world. My two picks for generating goodness within are Jen Sincero’s You Are a Badass and Na’im Akbar’s Know Thyself. 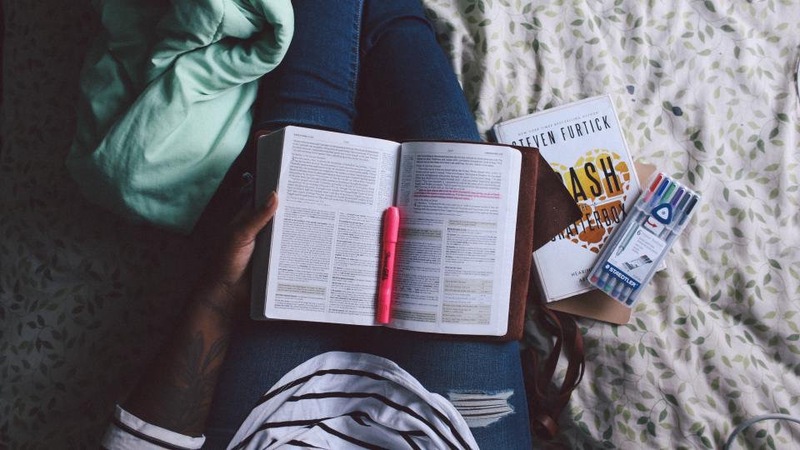 These quick reads will help you carve out time for self-exploration, realization, affirmations, and the end goal of a more confident, positive, and happier self. Imagine receiving beautifully written text messages each morning, reminding you of your awesomeness while simultaneously sharing tips to set you in motion for a positive day? With one quick sign up, Shine does exactly just that (no best friends or partners required)! With combinations of quotes, gifs, and resources for further advice, this app is the perfect start to a healthy, intentional, and mindful day. Go On A Me DateDoes your dating life not live up to the hype? If so, it sounds like you haven’t enjoyed the glorious splendor that is taking yourself out on a special date. My me dates usually include long walks, Barnes & Nobles, coffee, and sour candy (just a few of my favorite things), however it’s all about setting an hour or an entire day for yourself – no guilt trips included. Spending time with ourselves (and feeling comfortable doing so) is essential in not going completely crazy in a demanding, tumultuous world. In promotion of self-care during heightened periods of trauma Tracy. G created a collection of powerful affirmations to generate peace, progress, and most importantly the value of Black lives. If you can spare five minutes for social media – you can find five minutes for gratitude. It doesn’t take much to look around, reflect, and jot down what you’re happy to have. The sun, an unlimited MTA monthly, an unbothered walk home – there is always something to find appreciation for. Many studies have proved the healthy and happy impact of being thankful in our everyday lives, try it out for yourself! I acknowledge that not everyone is lucky enough to live next door to a puppy store like me – but in all seriousness, petting a puppy or kitten for just 15 minutes can relieve loads of stress and anxiety. Frankly, it’s all science – playing with a dog or cat can elevate levels of serotonin and dopamine which work to make us feel more calm and relaxed. Hence that instant rush of energy we get from seeing these little ones nearby/in a window/on YouTube! It’s okay to take a step back, let alone a day off in times of need. For those of us who are granted with sick or personal days, mental health should always be included – especially when individuals, families, and communities are in mourning, no matter the reason. Taking a day off allows us to recharge, reflect, and most importantly allow time for our bodies and minds to take a break from the nonsense. As YouTuber Evelyn highlights in her recent video entitled “Call in Black,” grief and self-care are necessary in times of chaos and perpetual on screen violence.